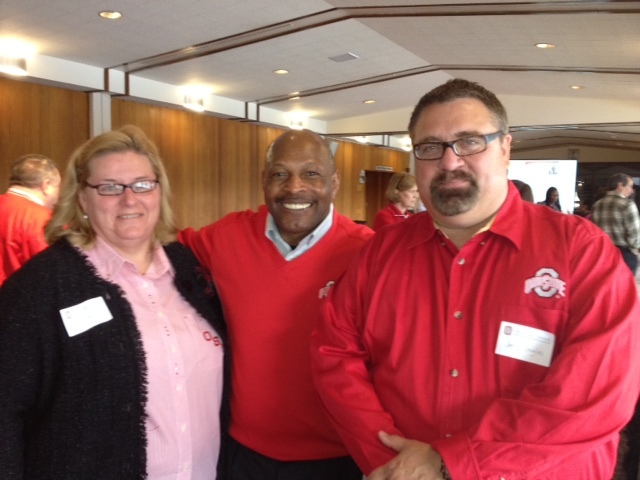 Left to Right: Terri Douglas, Archie Griffin, and Jerry Douglas at breakfast before The Ohio State University Spring Game! Terri Ackison Douglas is originally from the Appalachian town of Ironton, Ohio (Lawrence County). After graduating from high school, Terri moved to Columbus to attend The Ohio State University. (OH-IO!) Grandma's Gifts was started in the memory of Terri's mother, Norma Belcher Ackison. Currently, Terri works for Emerson Network Power Liebert Services as the head of Operational Excellence. She is a Lean Six Sigma Master Black Belt and manages a global team of highly skilled Lean Six Sigma Green and Black Belts. Jerry Douglas is originally from the Appalachian town of Ironton, Ohio (Lawrence County). Terri and Jerry were high school sweet hearts and have been married for almost 35 years! Jerry also moved to Columbus after high school to attend The Ohio State University. (Hint: They're big BIG Buckeyes fans!) If you didn't guess, Terri and Jerry are married and the parents of Sarah, Zachary, and Emily Douglas-McNab. Terri and Jerry shared the call to service with their children and now that everyone is grown-up, they all volunteer together! Above: Teresa Daulong in Vail, Colorado (the night of the Blackhawks playoff game)! Teresa Daulong currently lives in Houston, Texas with her two children, Jacob and Amanda, and her husband Stephen. Teresa has been volunteering with Grandma's Gifts since 2009. Teresa currently works full-time for the nonprofit Battelle for Kids where she is a Human Capital Senior Specialist. In her role Teresa travels all over the country working with districts, foundations, and state agencies on projects related to human resources, strategy formulation, and process improvement. Teresa is Lean Six Sigma Green Belt certified. 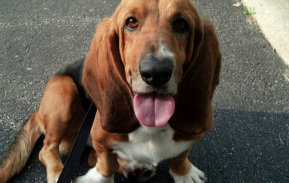 Deuce - rescued June 2013 - now lives in Houston, Texas! 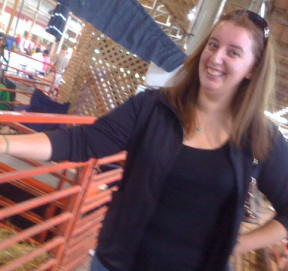 Ms. Morgan hanging out at the Ohio State Fair. Morgan Webb is originally from Ironton, Ohio in Lawrence County. She received her Bachelor’s degree in Business Management from Wright State University and a Master’s degree in Labor and Human Resources (2007) from The Ohio State University. After moving to Columbus for graduate school she decided to stay and now works for the Ohio Department of Administrative Services (known as DAS) as a Senior HR Analyst. Morgan is Lean Six Sigma Green Belt certified. Morgan also has her Professional HR certification (PHR) from the HR Certification Institute. Morgan has been involved with Grandma’s Gifts since 2005. As a random fact, Morgan has a side business where she bakes delicious goodies for parties. Her homemade red velvet cupcake is phenomenal! 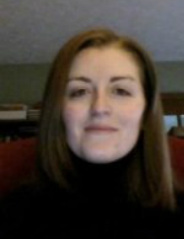 Sarah Douglas is currently a doctoral candidate at The Ohio State University within the History department. Sarah graduated with Honors in the Liberal Arts and Distinction in History from The Ohio State University in 2007. She completed her Masters Degree in the winter of 2009 at OSU and achieved candidacy in the winter of 2010 focusing on the fields of military history with Dr. John Guilmartin and Dr. Geoffrey Parker, medieval history with Dr. Barbara Hanawalt, and East Asian history with Dr. Patricia Sieber. In addition to serving on the Council of Graduate Students and the Council on Academic Affairs for four years, as well as representing graduate students in College of Arts and Humanities in the University Senate for two years, she currently serves as the treasurer for the Alexander Hamilton Society, OSU Chapter. She has been the recipient of an Ohio State Graduate Enrichment Fellowship as well as multiple History Department awards for her dissertation research. She has also been the recipient of multiple Bradley Foundation Fellowships and was a fellow at the West Point Summer Seminar in Military History in 2010. While also planning two international military history graduate conferences hosted at Ohio State in 2009 and 2011, she is working to complete her dissertation with advisors Dr. John Guilmartin (OSU), Dr. Barbara Hanawalt (OSU Emeritus), and Dr. Clifford Rogers (West Point). Her dissertation will discuss the effects of the Black Plague upon military requisitioning in England during the 100 Years' War and beyond. Sarah will graduate with her Ph.D. in June 2014. As a random fun fact, Sarah and Zach are twins! Sarah, like Zach, has volunteered with Grandma's Gifts since 1993! She has been a member of the Board since 2010. George shopping for Easter Basket goodies in 2012! George McNab is originally from the Poland, Ohio in Mahoning County (an Appalachian Ohio county). After attending Youngstown State University, Columbus State Community College, and The Ohio State University, George began working in the Ohio Legislature. George has an Associates degree from Columbus State Community College and will soon receive his Bachelors degree from The Ohio State University. George has been involved with Grandma's Gifts since 2011. In the picture above he is shopping for Easter Basket goodies! His two favorite projects of Grandma's Gifts are the Wag'N Wheels project and Christmas Angel Project. George is also the owner of a dog rescued by the Wag'N Wheels project, Frazier (he's that handsome scruffy, black and white fellow in the suit and bow-tie in the photo below)! Currently George works for the Ohio Department of Agriculture as a legislative liaison and resides in Delaware County. George was trained as a Lean Six Sigma Green Belt by the State of Ohio's program called LeanOhio and is currently undergoing Black Belt level training with the same organization. In other news, George asked Emily to marry him on May 17, 2013! They got married on October 10, 2014 in Westerville, Ohio in-front of 200 of their closest friends! If all of this wasn't enough, in April 2014, George and Emily started a for-profit business with a social entrepreneurship-flair called ThnxPress! Zachary has served on the Board of Directors for Grandma's Gifts since the organization filed its Articles of Incorporation in 2010, becoming a 501(c)3. Yet, Zach has volunteered for the organization since 1993! Since 2008 Zach has played an integral role in organizing transportation of goods as well as managing the technological needs of the organization to maximize its reach and productivity. Zach collects and reviews data related to the organization making suggestions for improvements and new projects. 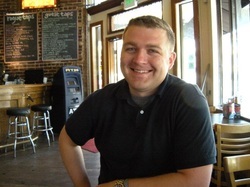 From 2008 to 2012, Zach worked for Honda R&D, Americas as a Design Engineer. In 2012, Zach founded Wiki Consulting Services, a company that helps organizations and people manage their presence on Wikipedia, the world's largest Encyclopedia. Zach also currently works as the Operations Manager for a landscape supply company in Columbus. Outside of his professional activities, Zach volunteers for Ohio Great Dane Rescue, transporting dogs from shelters to foster homes and interviewing potential adopters to ensure the rescued Great Danes find a good home. Zach also volunteers with Special Olympics. Zach is pursuing degrees in Mathematics and Integrated System Engineering from Ohio State University. As a random fun fact, Sarah and Zach are twins! Zach will also be getting married this September to the love of his life, Mackenzie Miles. Emily & Wrigley the rescue in December 2012! recipient of the President’s Service Award, the highest award given to a U.S. citizen for public service. Due to the fact Grandma's Gifts is volunteer run, Emily has never been compensated for this work and continues to volunteer her time as the Executive Director. She has volunteered more than 19,000 hours to make the organization what it is today! Emily received her bachelors degree from Miami University (2004) and her Masters in Human Resources (2007) and Masters in Business Administration (2009) from The Ohio State University, Fisher College of Business. She also has her Senior Professional HR certification (SPHR) from the HR Certification Institute and a certificate from Cornell in Social Media Management. Emily is also trained in Hoshin Kanri (2014). Emily works full-time for the nonprofit Battelle for Kids where she is the Director of Human Capital. In her role Emily travels all over the country working with districts, foundations, and state agencies on projects related to human resources, strategy formulation, and process improvement. Emily blogs for the largest national education-focused newspaper, Education Week, as the K-12 Talent Manager on HR issues relevant to school districts! For her work in 2013 she was recognized by Workforce magazine as an HR Game Changer and in 2014 she was named a "Daily Hero in Education" by the Vice President of Microsoft Education and as an Emerging Leader in Education by Phi Delta Kappan. making a tax-exempt donation to help our cause?